Long Grove, IL: December 17, 2015 – TZA, a leader in labor management software and services, has been placed in the top 100+ technology and solutions providers by Food Logistics, the only publication dedicated to the grocery and foodservice supply chain. TZA’s ProTrack Labor Management Software provides industry leading technology that enables companies to achieve workforce productivity gains of 10% to 30% or more across their distribution, manufacturing, administration and delivery operations. With a growing client base in the food and beverage industry, it is the only labor management solution recognized in the FL100. Schedule an online demo to see why ProTrack is the number 1 choice of food & beverage distributors. 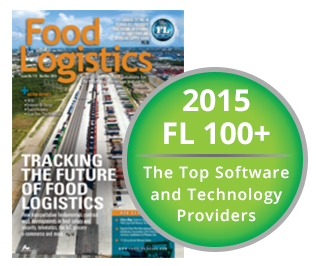 The annual FL100 is featured in the November/December issue of Food Logistics and online at Food Logistics. Food Logistics is published by AC Business Media Inc., a business-to-business media company that provides targeted content and comprehensive, integrated advertising and promotion opportunities for some of the world’s most recognized B2B brands. The publication serves the information needs of executives involved in various aspects of the food and beverage supply chain. Through print and online products, they provide news, trends, and best practices that help more than 24,000 grocery and foodservice suppliers, distributors, and retailers make better business decisions.